William Woods University equestrian students successfully finished the AQHA World Championship judging contest with four Top Ten finishes in the limited individual division. Sarah McRae was 10th and Ashley Larkins seventh in the halter division. Larkins picked up a ninth and Marissa Boster an eighth in the performance division. Larkins also had WWU’s top finish with a 10th place overall in the limit division. 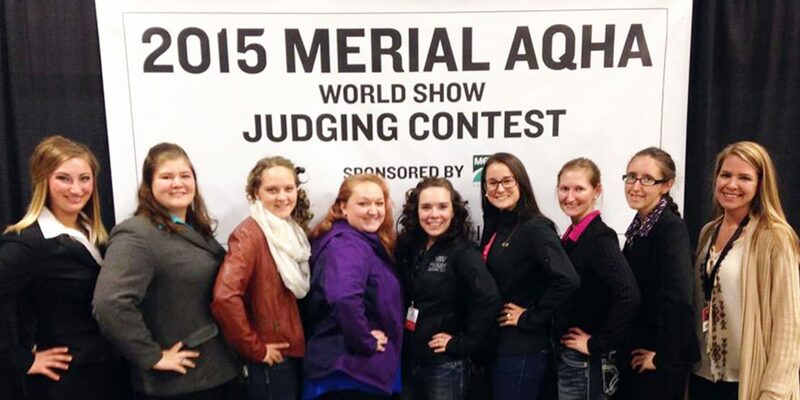 The Merial AQHA World Championship Judging Contest took place Nov. 18 during the Lucas Oil AQHA World Championship Show at State Fair Park in Oklahoma City, Oklahoma.